iv.Providing legal opinion on any matter of civil nature, Employment, Arbitration, Constitution and Human Rights. v.Attending complaints of civil employment disputes and Arbitration nature addressed to Office of the Solicitor General. viii.To liaises with the Government Ministries, Departments, Agencies, State Corporations, Local Government Authorities, Parliament and Judiciary on all matters relating to Civil Litigations, Arbitration, Constitution and Human Rights. Holder of bachelor degree in Law (LLB) from recognized higher learning institution. 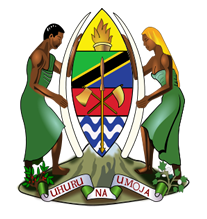 The Candidate MUST have successfully completed Post Graduate Diploma in Legal Practice (PDLP) of Law School of Tanzania. Also, must be computer literate and having good English language command both written and spoken. General experience in Civil Litigation, Arbitration, Employment, Constitution and Human Rights matters will be an added advantage.